Serious games for business are getting more and more popular in companies. Still, some eLearning professionals might not know all the possibilities provided by this kind of method. Serious games for business. Or the art of putting knowledge into action, by using agame-based learning platform. But how does it work exactly? And why would it be so useful for you and your company? In this article, we are going to cover some key aspects of using serious games for business, as well as how it adds value to your corporate training strategy. Even if this is not their main advantage, serious games for business are great for explaining theoretical concepts to your learners. Just like in eLearning games, you can easily spread pedagogical content in front of your learners, so that they discover and understand the core principles of the topic. For instance, if your serious game is about sales, you can imagine giving access to a folder to your learners which contains general information about the case study, as well as best practices regarding sales. 2. Add Practice To The Training. Now that you gave a theoretical overview to your learners about the topic, you can dive into the main asset proposed by serious games for business: Practice. We know from experience that knowledge is nothing without action. Usually, if learners did not practice the acquired knowledge within the first two weeks after their training, chances are that they will forget it. Fortunately, interactive training softwares such as ITyStudio will enable you to create educational games that drive results. Basically, the idea with serious games for business is to put your learners in front of practical situations, and above all to put them in front of difficult decision to make, in order to improve their decision making process, thus making them more efficient and skilled in what they do. 3. Gather Accurate Data About Learners. Even if serious games for business are proven to get efficient in online training, you still have to track and measure the progress of your learners. Indeed, at the end of the day, you are not doing serious game development for work’s sake, but so that your learners can improve themselves, acquire new skills, and create more value for your organization. Detailed score for each pedagogical goal. This feature of serious games for business can be really helpful, because it will enable you to estimate the ROI of your enterprise games, as well as the overall progress of your learners. 4. Setup Compelling Stories And Environments Easily. What Instructional Designers tend to forget is that, thanks to new authoring tools of the market, serious game design has never been easier: You do not need complicated technical skills anymore in order to create simulation games. For instance, a serious game authoring tool such as ITyStudio can provide you withready-made environments and characters, both in 2D and 3D. You can visit theirfeatures’ page in order to have a deeper view of what they have to offer. Besides, you might already know that storytelling is one of the most important success factor of serious games for business. 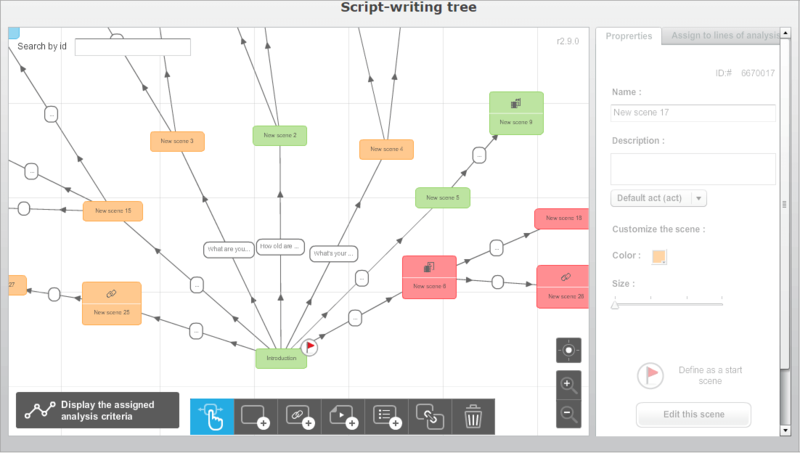 They great thing is that ITyStudio has an easy-to-use tool to propose in order to design scenarios that drive engagement: A scenario tree. Thanks to its right click and drag & drop system, your scenarios will be ready to get spread in a matter of days! 5. Serious Games For Business Create Momentum. Last but not least: Serious games for business create momentum within your staff. That is one of the greatest advantage of online training: People love challenge, and will try to compete with other learners in order to reach the highest possible score. Consequently, it is a best practice to communicate internally about the serious game you developed for your company: It is kind of obvious that, if you did not inform your staff about your eLearning project, then no one is going to engage with it. eLearning agencies usually provide great tips and communication plans in this regard. Ready To Create Serious Games For Business? Take Action! In this article, we shared tips and tricks about serious games for business. If you feel concerned and see a potential in this training method, you should definitely give ITyStudio a try! This eLearning authoring tool contains all the features needed to implement the steps listed previously. It is easy to use, it is engaging, and, best of all: You can try it for free! Ready to go to the next level? Claim your 30-day free trial here!